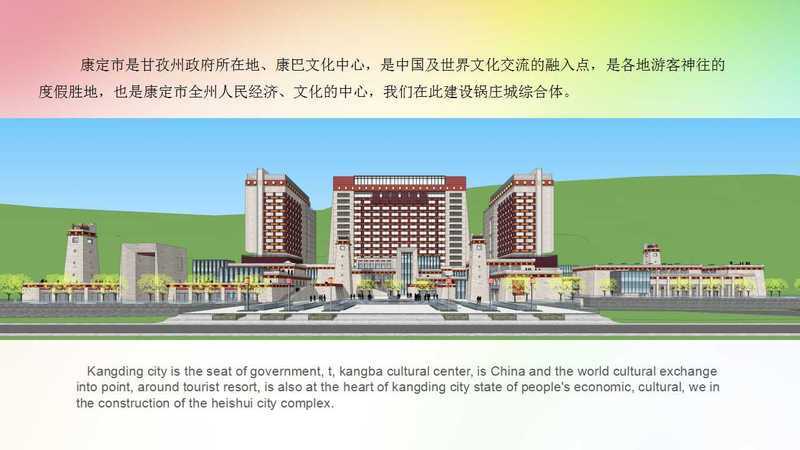 Heishui city square From the two presidents river on a bridge 150 meters wide, straight into the square, square negative for indoor parking lots on the second floor, the negative a layer of planning for indoor kangding city children industry, including children's entertainment, shopping for children, the children's museum, library, amusement parks, and the children's palace. 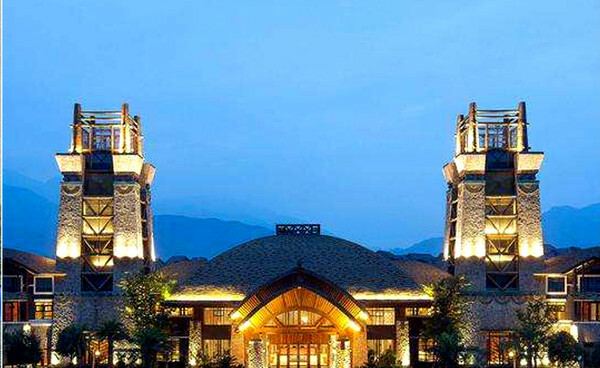 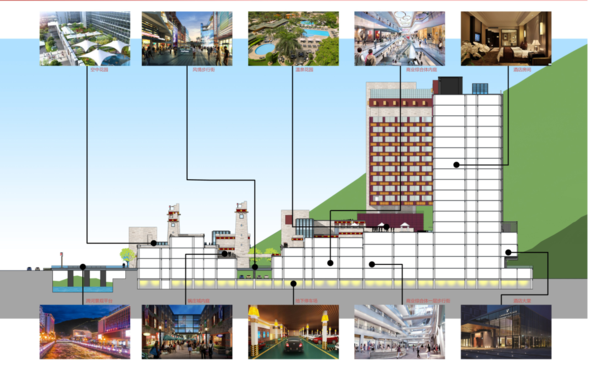 A layer for large outdoor heishui performing arts cultural performances; 15 of the main building, third floor below for commercial complex, the above 12 layer for the hot springs spa resort hotel star standard of medicine. 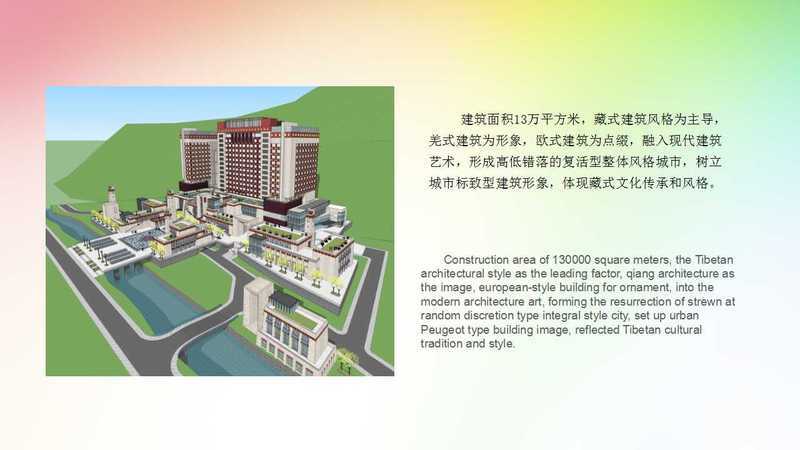 Surrounding the square, planning area of 1500 square meters standard kindergarten and relocation room 50000 square meters.